Box of Frogs runs a free Jam night on the third Monday of every month. 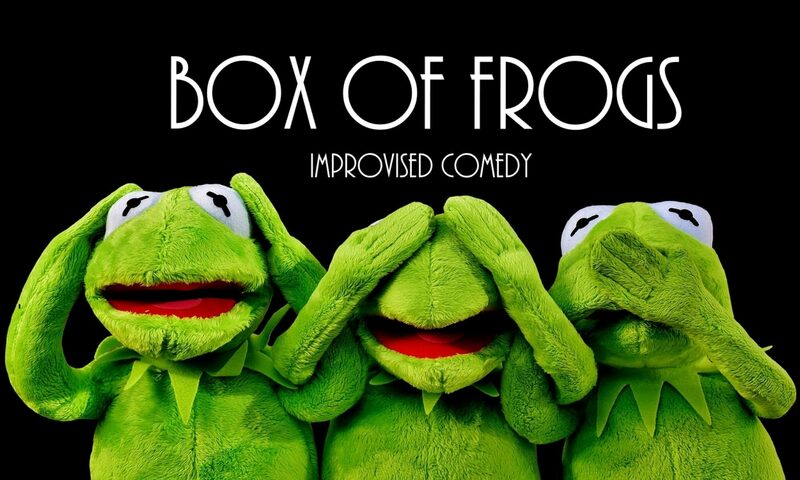 Every third Monday of the month, Box of Frogs, hosts an evening of fun for all. Turn up, grab a drink, put your name in the hat, and perform! Or if you prefer, just watch the fun! Each night will feature a performance from a visiting company, followed by a jam hosted by the Frogs. 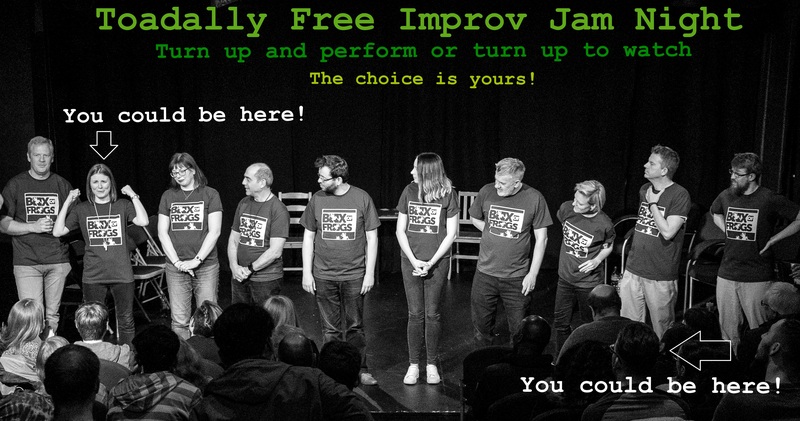 Come and play your favourite improv games, take part in improvised scenes, sketches and songs, or just sit back and watch. Suitable for all levels of experience, including complete beginners.